Practice has kicked off for Maimi’s latest stage play “Taklimakan”, and Maimi gives the details in her April 24th update titled “Practice start ( ・∀・´“. Full translation below. Also, preorders have opened for a special DVD containing making-of footage on e-LineUP! 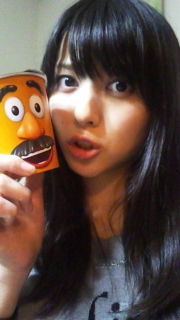 Posted on April 24, 2013, in Blog, Translations and tagged Yajima Maimi. Bookmark the permalink. Leave a comment.